The under-23s lost 3-0 this afternoon against Hull City in the Professional Development League but the big news at Curzon Ashton was Robbie Brady playing virtually the whole game as he follows Steven Defour on the road to recovery. For those of us expecting to see Defour again, he was absent from the team today but that was not a setback with manager Sean Dyche having pencilled him in for some of tomorrow’s League Cup game at Burton. Brady, like the rest of us at the game, will be mystified as to how we came in behind at half time even though, apart from Keane Lewis-Potter’s goal, Hull had hit the woodwork and had a Will Keane effort ruled out for a very close offside. Other than that, we were by far the better of the two sides but far too often we fell at the final hurdle, often that last ball into the box despite the promptings of Mace Goodridge and Mark Howarth, himself making a long awaited return from injury, in the midfield. Brady himself came close twice from trademark free kicks. The first, a sighter, was only just over the bar while the second was on its way in until goalkeeper George Long got his fingertips to it to tip it over. At half time there was a real belief that we’d turn things round in the second half but three minutes in we fell further behind when Keane finished well when the ball came in from the left. And that changed the complexion of the whole game. I don’t think we offered too much at all after that and it was probably a surprise that Hull only added one more from Jon Toral, who was sent off on the last occasion he played against us for Birmingham. As for the under-23s, we’re back at Curzon Ashton next Monday when we play Crewe. 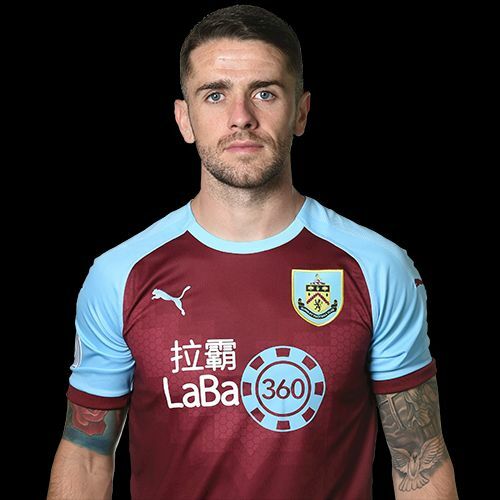 Burnley: George McMahon, James Clarke, Teddy Perkins (Ed Cook 22), Oliver Younger, Anthony Glennon, Tunde Bayode, Mark Howarth (Terry Mupariwa 57), Mace Goodridge, Robbie Brady (Marley Blair 82), Tinashe Chakwana, Dan Agyei. Subs not used: Adam Bruce, Jordan Cropper. Hull: George Long, Robbie McKenzie, Brandon Fleming, Jordan Hickey, Lewis Ritson, Josh Thacker, Keane Lewis-Potter, Billy Chadwick, Will Keane, Jon Toral, Callum Smith (Ahmed Salam 74). Subs not used: Harrison Foulkes, Tom Powell, Jacob Greaves, Dan Hawkins.